﻿ Guesthouse Akane-Yado (Adult Only), Furano | FROM $25 - SAVE ON AGODA! "The owner also cook great dinner and breakfast." "The shared toilets were clean and well maintained." "Shared bath and toilet are clean." "The view outside was breathtaking." "The guesthouse was lovely and clean." Nestled in the heart of Nakafurano, Guesthouse Akane-Yado is an ideal spot from which to discover Furano / Biei. From here, guests can enjoy easy access to all that the lively city has to offer. For those of you who want to venture out, Goto Sumio Musium, Farm Tomita, Rokugo no Mori are just some of the attractions available to visitors. 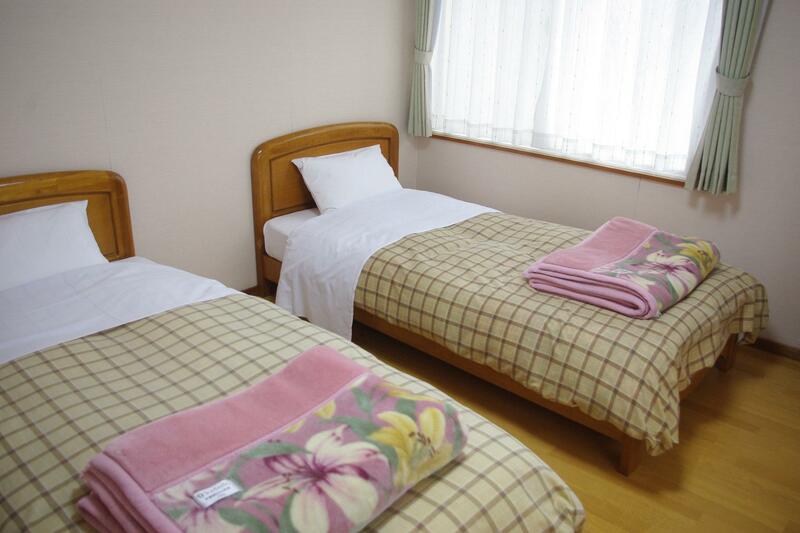 Guesthouse Akane-Yado also offers many facilities to enrich your stay in Furano / Biei. To name a few of the hotel's facilities, there are free Wi-Fi in all rooms, Wi-Fi in public areas, car park, shuttle service, bicycle rental. Guests can choose from 6 rooms, all of which exude an atmosphere of total peace and harmony. Throughout the day you can enjoy the relaxing atmosphere of the garden. 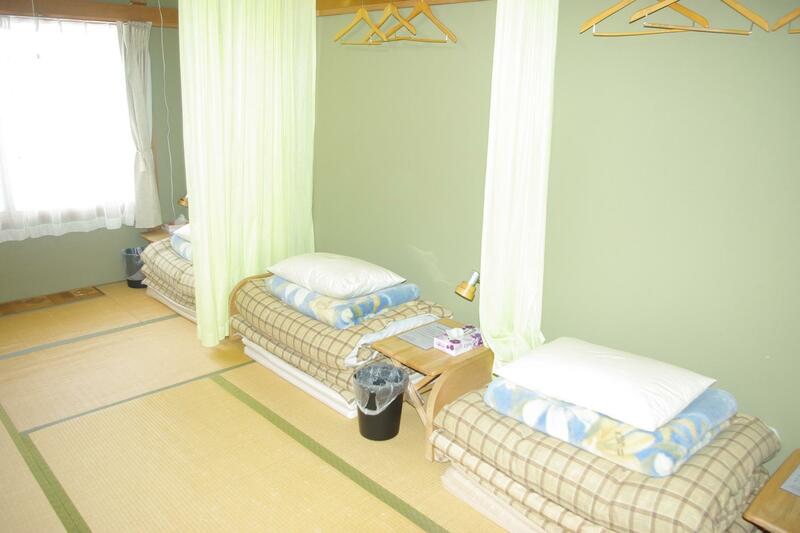 Whatever your purpose of visit, Guesthouse Akane-Yado is an excellent choice for your stay in Furano / Biei. "Home cook food is nice." There are no other restaurants or convenience stores outside of the property. The property's map code is 349197480. The property can provide dinner except for Sundays. Dinner costs JPY 1300 per person per day. Please let the property know through the Special Request section upon booking. 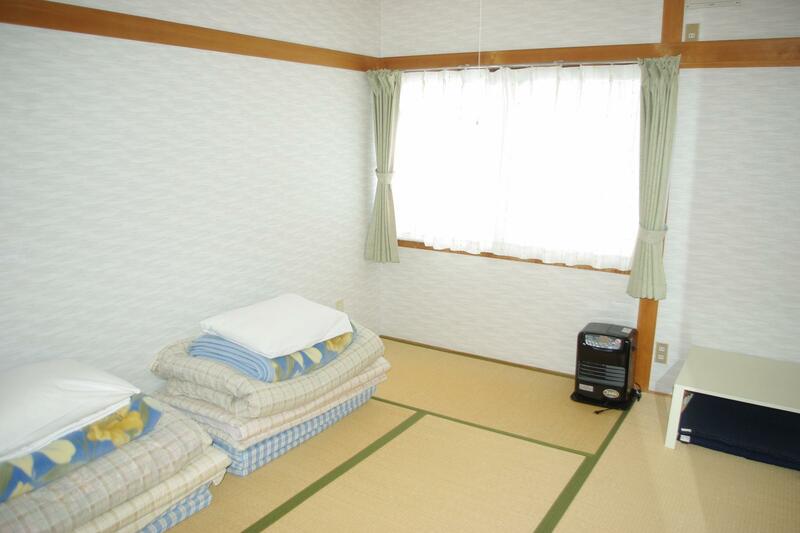 The property provides scheduled free shuttle service from/to JR Nakafurano station on weekends and public holidays. Advance booking is required. From property to JR Nakafurano station: 8:00 AM and 9:00 AM. The property is closed between 10:00 AM and 04:00 PM daily. All guests are required to leave the property during this period. The minimum age required to stay at this property is 7 years. The guesthouse was lovely and clean. The shared toilets were clean and well maintained. The view outside was breathtaking. Definitely need a car to travel to the guesthouse as it is located far from the main road. Would recommend others to stay there. The owner is very helpful and friendly, the scene around the guesthouse is nice, and the bathroom is clean, furon is very warm and nice. Home cook food is nice. Beautiful house but staff is not friendly at all. not worth for the price. Mr Joe and his wife were very nice and friendly... My friend and I missed the free shutter bus to the guesthouse, but the lucky thing was Mrs Joe bother to picked us up from the train station! Breakfast and dinner was good, guesthouse is very clean. Will drop by again in future. There are alot of rooms but only two bathrooms (which have to wait quite long especially when all the guests are back at night). By the way, the breakfast is nice ! Guesthouse is owned by a couple with one small kid. It is quite a distance away from the town so don't try to walk your way out at night, its absolute darkness and far. The rooms are not equipped with washrooms. There are about 5 - 7 rooms on the second level where guests stays, there are two bathrooms to be shared and 2 toilets to be shared. 2 Basins located separately from the toilets and washroom. The breakfast and dinner we reserved with the owner was great, very homely feeling and food prepared. We were given the first room facing the staircase. Its a little noisy if other guests talk loudly, which you can hear them word by word. The house is of wooden structure, so is the bed, sometimes normal movements will result in squeaking sounds. Having said that, this room also have the best view of the farm field and mountain! This is a very home-like guesthouse with a wonderful filed view. If you are looking for somewhere with large space, greenery, quietness, friendly hosts and home-like meals, this is a right place for you. I will be back next time when I visit furano. Cozy atmosphere. Meeting with different people. Experiencing the very best of Furano's nature. It was an amazing experience during my stay in Hokkaido. The owner was from Osaka but decided to move to Hokkaido for sake of the peaceful countryside. You can order dinner and breakfast from the hotel whose value for money is nice. After dinner we had a fun beer party with other guests from all over the world, most of whom were skiers. The next day I was heading for Biei and Asahikawa, and a couple who stayed in the hotel with me offered to take me for a ride, and we went through all the great view spots in Furano and Biei! The only inconvenience is that the hotel is located in deep countryside, far from the nearest station -- Nakafurano, which itself is already a very small unmanned station with few stores and eating places. In holidays there are no buses. If you have a car, or are scheduled to arrive at dawn for the hotel owner to pickup, then there's no problem. Anyway I give my best recommendation for this place. Have a pleasant stay. The owner is friendly and give a good suggestion for nice dinner place. Suitable for youngster. Do consider if you have elderly people in a group as the bedroom on second floor, it's quite difficult for them as need to climb up the staircase. Overall stay is Good. nice place but will need a car.food was great. Not bad, we love it coz it in the middle of veg farm! very special for a city couple.